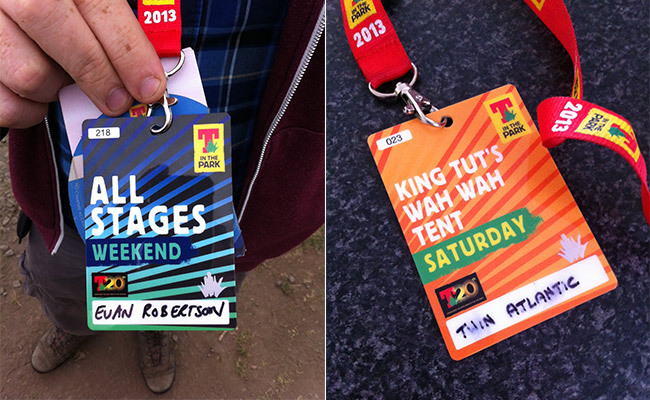 For the 20th year of T in the Park festival, I was responsible for creating a laminate pass system for over 10 stages and various levels of access. This challenging brief required over 30 individual laminate template designs. Here are a couple of examples.